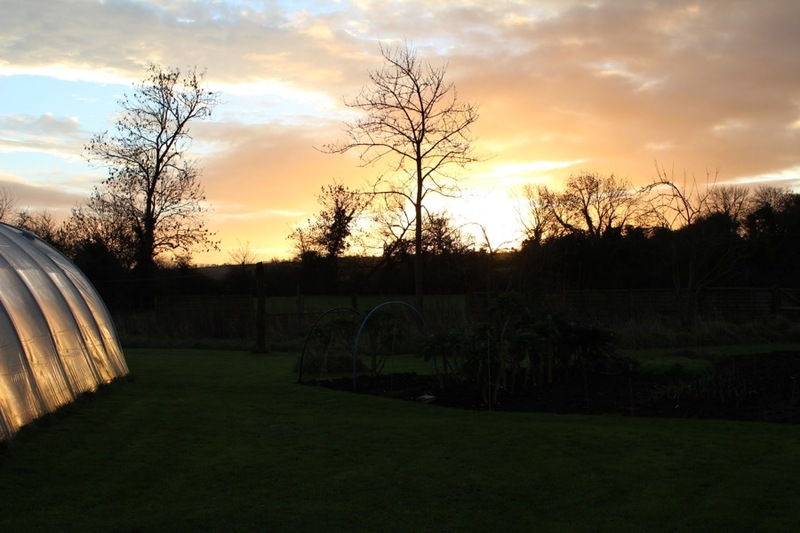 December was extraordinarily warm and especially by night, with no frost at all. 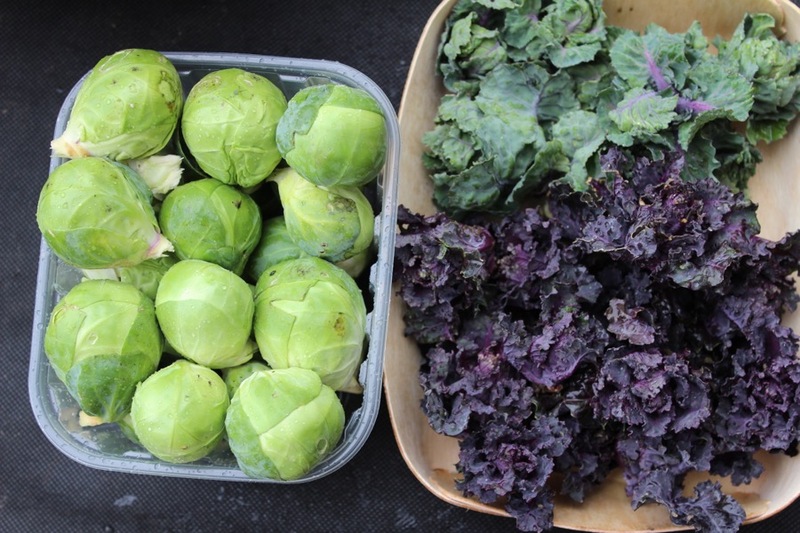 So Brussels sprouts and leeks are cropping well, I am picking early purple sprouting, weeds are germinating, wild flowers are flowering and salads have not stopped growing. Slugs, caterpillars and birds are happy too! Rainfall was average here for December, in sharp contrast to the north of Britain’s floods, and drought conditions over much of mainland Europe. The year as a whole (2015) was warmer than average at 11.0C, had normal amounts of sunshine and it was the driest year in these parts since 2003 with 761mm (30.4in) up to December 30th. Its the quietest time of year, except for those who are starting new plots and doing landscaping work, always assuming the weather allows that. 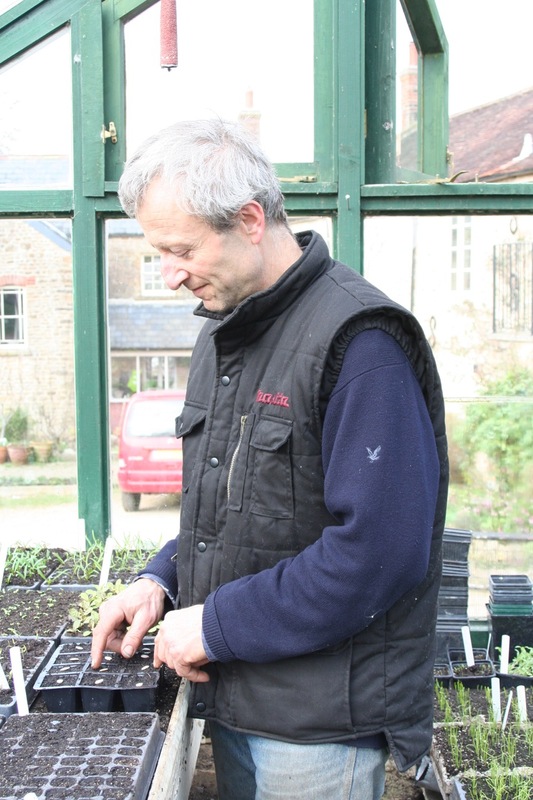 So its a chance to prepare for some good sowing and propagation, starting in mid February. Remind yourself of sowing dates on my timeline, and that there is no advantage in sowing anything yet except for Mammoth onions and broad beans if you have not already. Suitable for large seeds (peas, beans, garlic, potato) and for vegetables of which we eat the tap root, chiefly carrot and parsnip. 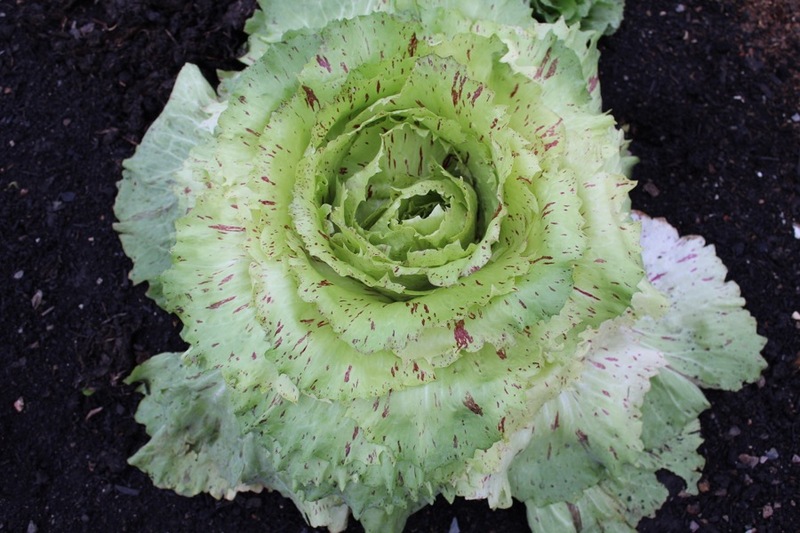 Unsuitable for slow growing seeds such as celery and celeriac, or warmth loving plants such as aubergine, or plants needing much space such as cucurbits, many brassicas. 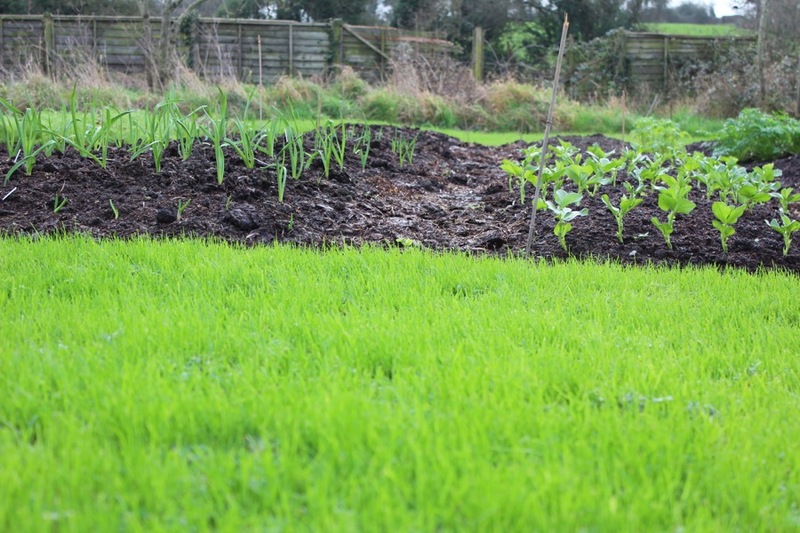 Special tips for no dig are to spread surface compost in autumn or winter so that the weather has made it softer before sowing; then break lumps lightly with a rake and also hoe before sowing in spring if weeds are emerging. 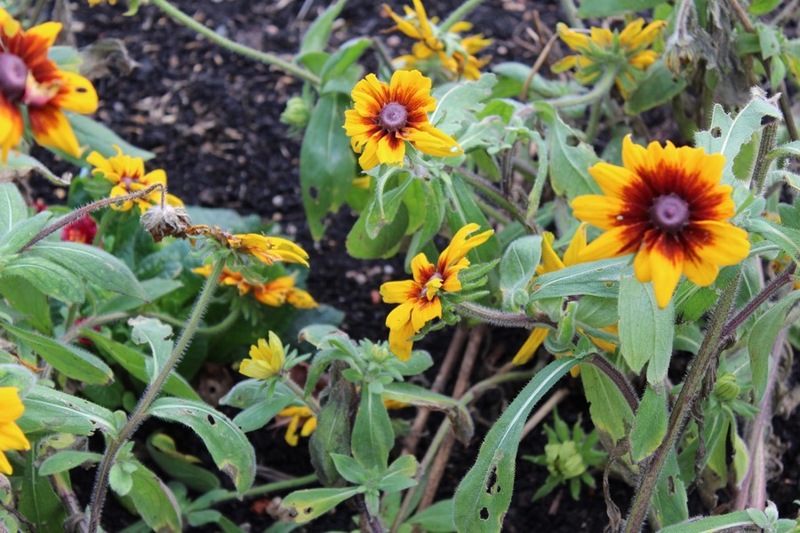 Disadvantages are more likely pest damage to seedlings, less regular and less complete spacings, less chance to weed before sowing, more seed needed. 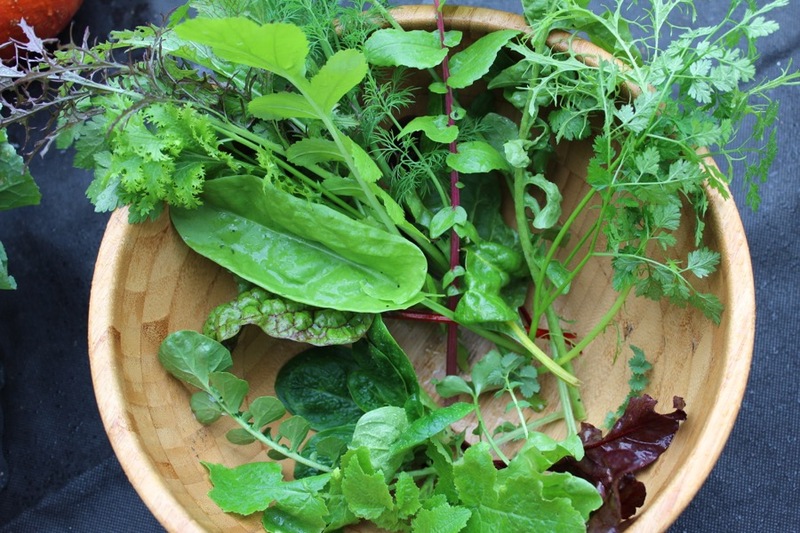 Top tip in spring is to be patient, even for vegetables that resist cold: place your bare wrist on the soil surface in daytime, and delay sowing if it feels sharply cold. Next job is weeding 2-3 weeks after sowing and probably thinning after that. 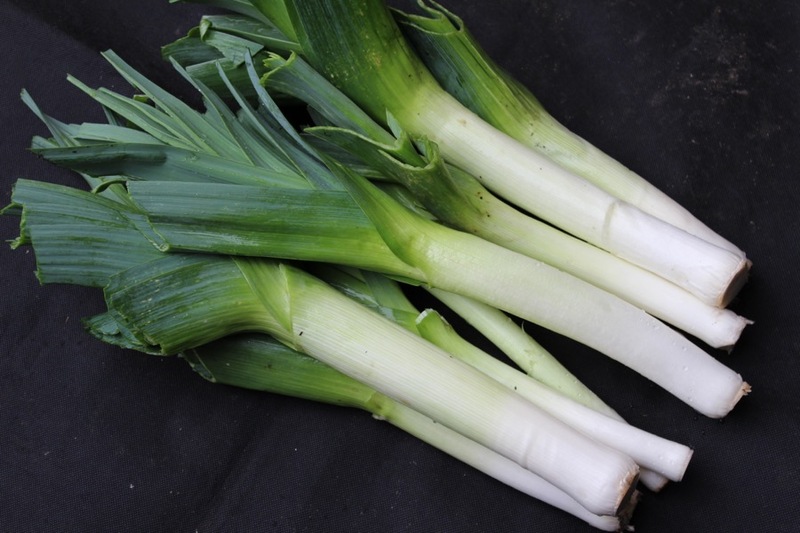 Suitable for all plants except root vegetables from which we want a long, unforked tap root e.g. 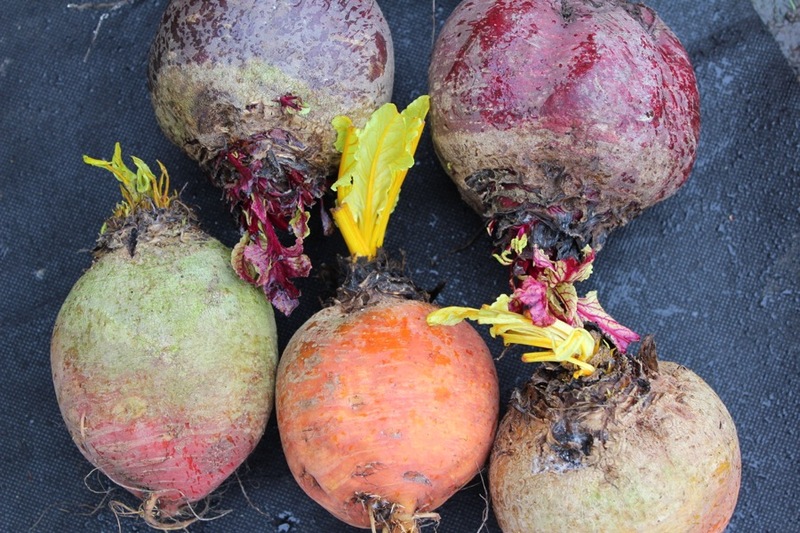 carrot and parsnip – but beetroot and swede grow well from module sowings. Advantages include the gain of growing time, easier weeding than from direct sowing, healthier plants from starting in near-ideal conditions and thus more chance of having full beds. 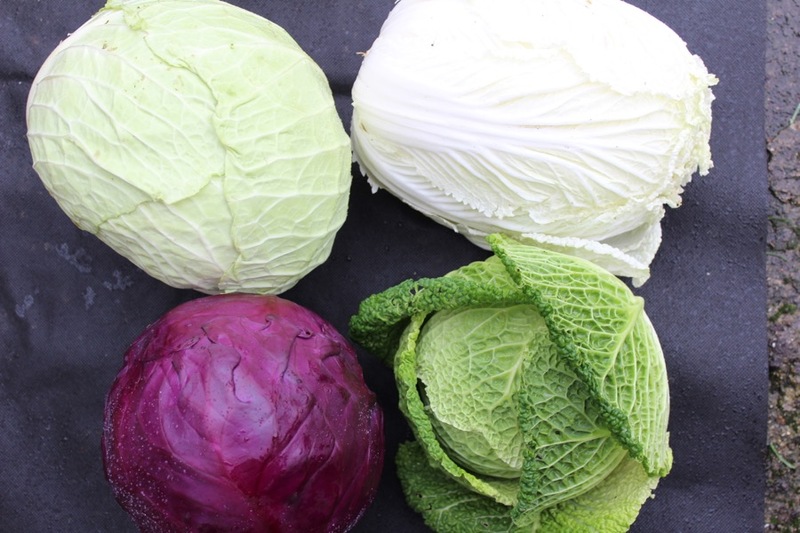 Disadvantages are the need for potting composts, trays and a bench preferably undercover, regular watering and ventilation – hence its more worthwhile to propagate many vegetables than just a few, since many jobs take similar time whether you tend a few or many plants. 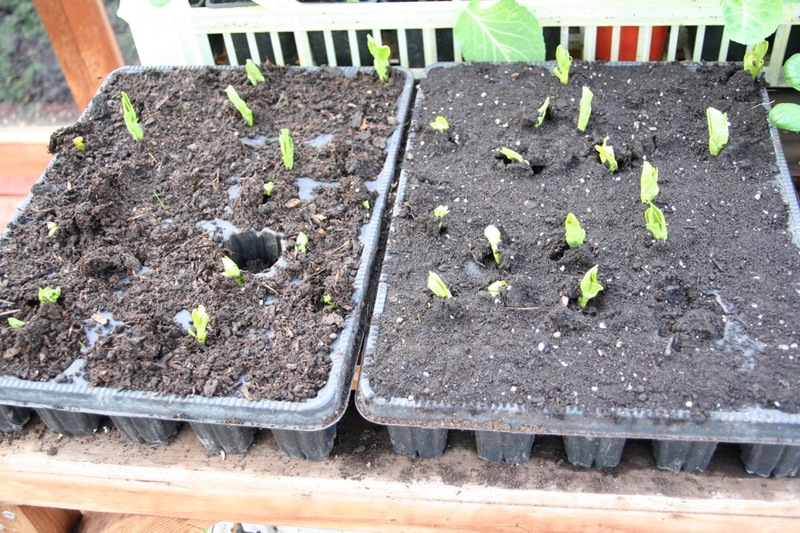 Also some sowings need thinning while seedlings are small. Suitable for seeds of irregular germination especially brassicas, lettuce, basil, and for the tiny seeds of celery and celeriac. 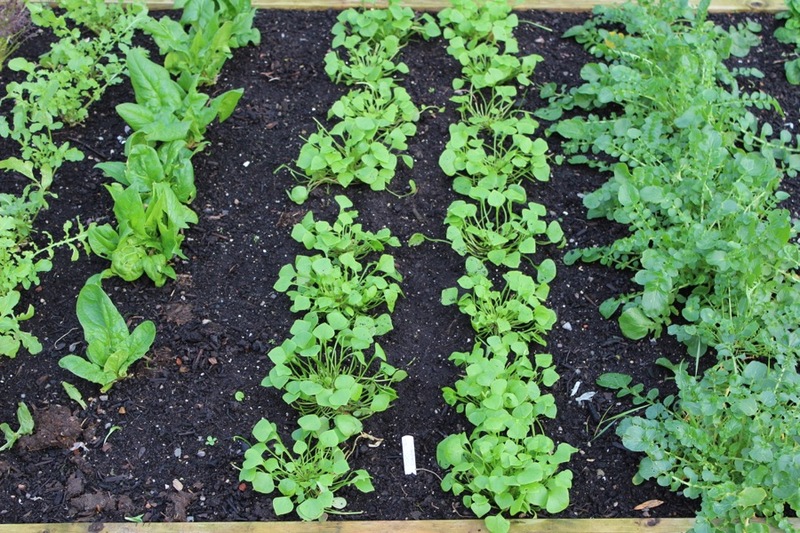 Advantages are less space and compost needed to germinate many seedlings, no empty gaps in module trays from non-germinated seeds, and sturdier plants from being able to bury stems when pricking out seedlings. 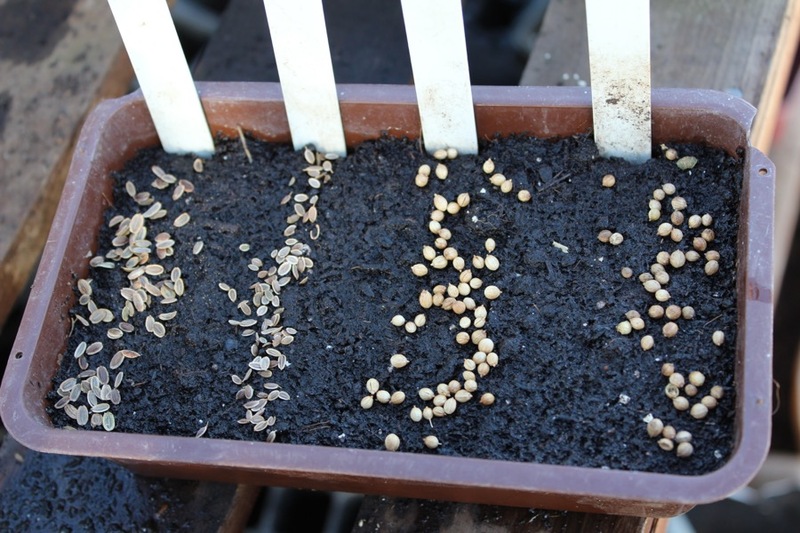 Disadvantages are that seedlings in trays sometimes damp off, so avoid sowing too thickly, do not overwater, and prick out while seedlings are still small, before they crowd each other. 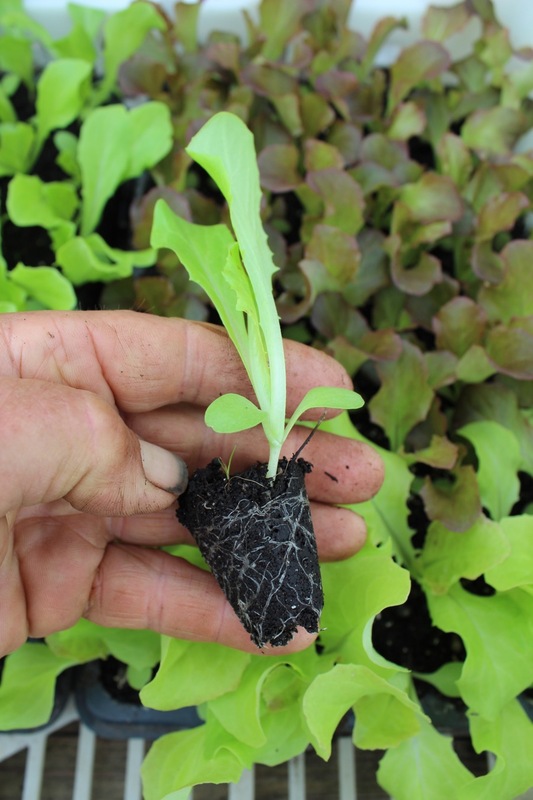 Next job is pricking out after as little as 4 days for lettuce and brassicas in summer – this can be as quick as sowing seeds into modules which often requires a subsequent thinning of seedlings. 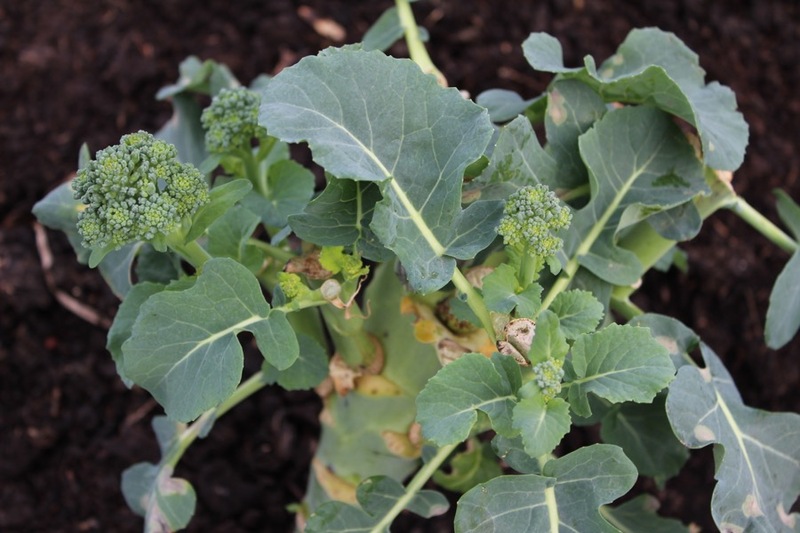 Calabrese Calinaro was sown mid June, planted after broad beans, this photo on Dec. 28th v unusual! Find yourself a good one! There are valuable tips in Which? 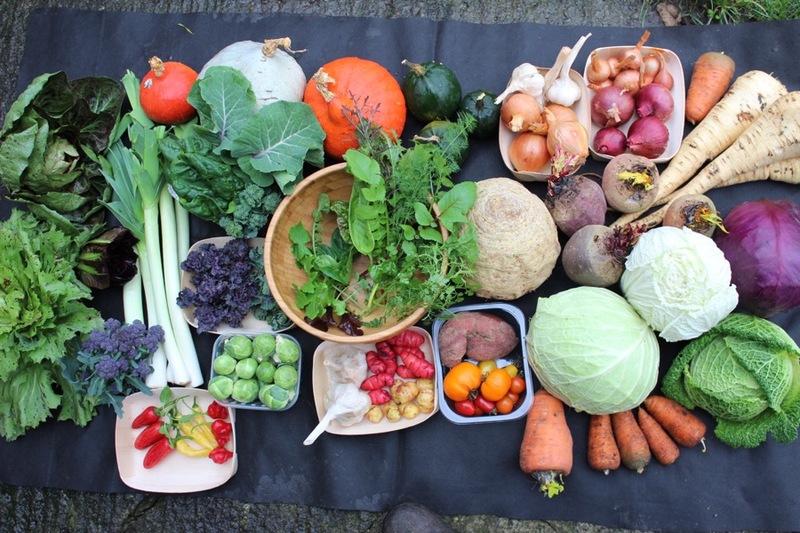 Gardening magazine, summarising their 2015 trials of different compost. 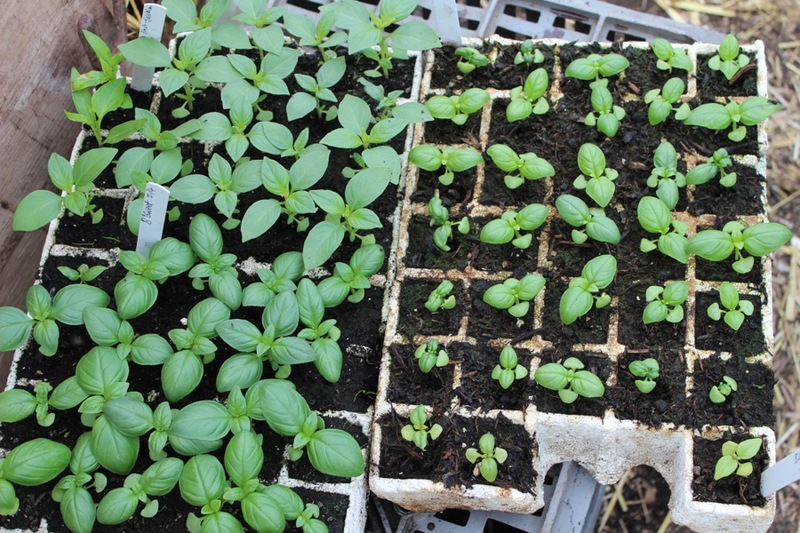 I have had problems with peat free composts: last year for example, I suffered disastrous results with Arthur Bower’s Multipurpose Compost.Its woody wastes produce chlorides which mop up the nitrogen before plants can access it – see the basil photo for how this stunts growth. Its amazing that measurably poor products are widely sold, so “buyer beware”. Arthur Bower (Sinclair) have recently been bought by Westland so their products may improve, but Westland’s own score was low in the Which? tests. Its frustrating, these guys are professionals! 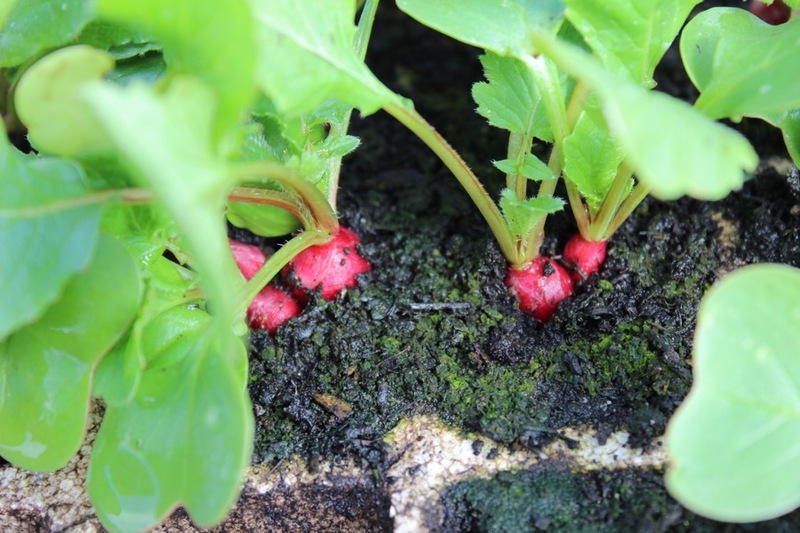 Strong growth of radish almost to harvest in modules of W Riding – sow 4 seeds/module & plant before this! Thanks for the note on B&Q Verve composts but, even on their own website, there are many poor reviews. It seems that they have changed their compost formula. Thanks for this John. it highlights that I needed to add more detail about the minefield that is potting composts! I should have said that Verve is a generic name which covers many composts, so a bit meaningless. Which? top score was from Sowing & Cutting Compost 50l peat reduced (40% peat), also they note that Verve composts are different according to bag size, and the bad reviews you noted are from the 60l bags! Its all pretty crazy and I am astonished how many bad composts there are, from big brands who must have the means to do better. For 2016 the formulae may have changed! Hi, I may be very lucky as I make a lot of my own compost from worm compost/ leafmould / garden compost and grit sand with seaweed meal for food measure, very inexpensive . I have yet to find a peat free compost that I am happy with so if I need to I use a sedge peat based compost. Maybe not PC I know but I don’t use much. I bought a couple of dump bags of this and it seemed very lifeless. it was too free draining and held no moisture. I spread it over my ornamental garden. I think you need to mix it with other stuff. It did one thing very well: we had no vine weevil problems wherever it was used. However, I wouldn’t get it again. It doesn’t look like home-made compost which sings with life. Like you Kate I feel it looks dead but gives better results than that suggests. I think the main “goodness’ lost to heat is fungi and other organisms. Then after spreading, I guess it takes a few months for them to move from the soil and colonise the compost.